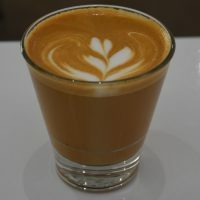 Kream Coffee is part of the small, but growing, speciality coffee scene in and around Phoenix. It’s another of those places which I came across during my second visit to Phoenix last year, prompting me to make an excursion outside of my usual Scottsdale haunts. In this case I went just north of downtown Phoenix, where Kream is somewhat incongruously located inside a design shop on North Central Avenue. However, don’t let that put you off. If anything, it’s a bonus, since it makes for some very pleasant surroundings, while when it comes to the coffee, Kream is top-notch. 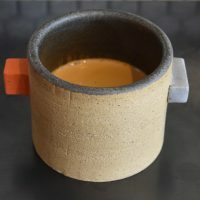 A multi-roaster, it draws on a cast of five roasters, some of the best in the US, to bring you awesome espresso and batch-brew, where there’s a different single-origin every day. The espresso, meanwhile, changes once or twice a week. You can also buy retail bags to take home with you. I’ve already sung the praises of Phoenix Sky Harbor Airport, which is one of the best (large) airports I’ve had the pleasure of flying into/out of in recent years. Unsurprisingly, a big part of its charm (for me, at least) is that it has a branch of Cartel Coffee Lab past security in Terminal 4. The first two times I flew to/from Phoenix (late 2016, early 2017), it was closed by the time I got to the airport, but since then Cartel has extended its hours, so on my first of two 2018 visits to Phoenix, I was able to call in both when I arrived on a Monday morning and left, almost two weeks later, on a Sunday night. Since it’s at an airport, Cartel would be forgiven for running a cut-down operation, but no, not Cartel. Instead, you are treated to the full Cartel range, which includes six single-origins (one decaf), one of which is available on espresso, while all six are available as pour-over via a combination of Aeropress, V60, Clever Dripper and Chemex. There’s also the obligatory bulk-brew, while you can buy bags of the beans (and even a Chemex!) to take home (or on your flight) with you. FUTURO is a relatively new name in speciality coffee, right in the heart of Phoenix. It’s been going for two years, so I’m rather annoyed that while visiting in January last year, I managed to get within half a block of FUTURO, as I strolled along Roosevelt Street searching for (and failing to find) good coffee. FUTURO is housed within PALABRA, a sort of mothership which contains FUTURO (the coffee bar), a gallery, a hairdressers and PASADO, which is a new venture, serving small plates from the kitchen at the back (but not on Sunday, which, of course, is when I visited). FUTURO is not quite like any coffee shop I’ve visited before, which is a refreshing change from some of the common design elements I see time and time again. There’s minimal seating off to the left and right, as well as sheltered backyard behind the building by the parking lot. 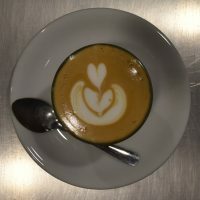 The coffee is also very atypical for Phoenix, with a wide selection of single-origins being provided by Heart Coffee Roasters in Portland. There’s a different one on each day, with one option on espresso and another on bulk-brew from a Fetco brewer discreetly tucked away under the counter. 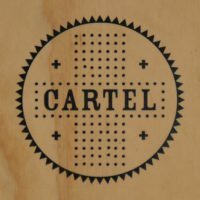 The contrast between Cartel Coffee Lab’s downtown location in the centre of Phoenix, and its flagship roastery/coffee shop in Tempe, which I visited the day before, couldn’t be starker. While the former’s a large, sprawling set of interconnected spaces, downtown is in an alcove off the lobby of 1 North 1st Street. It’s a very pleasant alcove, and, as alcoves go, it’s spacious enough, but it’s an alcove nonetheless. You can sit at the window-bar, out in the (echo-chamber like) lobby, or on the street at another window-bar. Despite any perceived shortcomings in size, Cartel doesn’t compromise on the coffee, with the same full offering that’s out in Tempe. There are six single-origins, including decaf, all are available through Aeropress, V60, Clever Dripper or Chemex. Meanwhile, one (plus decaf) is available as espresso. There’s also bulk-brew filter and cold brew, a small tea selection, plus cakes and prepared salads in the fridge opposite the counter.